Monday, May 2, 2016 5:15 pm. Updated 26 April 2018: Rebranded as VisuWell, this company announced today a raise of undisclosed magnitude, involving Longmeadow (Mass.) Capital and Point Judith Capital (Boston), among others. The company's CEO since Aug. 2017 is Sam Johnson, who is based in Franklin, near Nashville- Ed. WeCounsel Solutions, a Chattanooga startup with a Cloud-based telemedicine solution focused on the behavioral health market, announced today it has completed a $3.5MM Series A capital raise. Longmeadow (Mass.) Capital Partners led the Series A, coinvesting with Point Judith Capital (Boston) and CVH Holdings, which WeCounsel said is chaired by John Randazzo. Venture Tennessee research suggests Randazzo has also served as a senior advisor to Warburg Pincus. 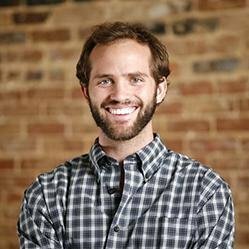 Founder and CEO Harrison Tyner, 26, told VTC the company has previously raised $1MM in Seed capital, most of which came from friends, family and Angels investing via Ultragroup Ventures, in Chattanooga. The company previously received a Mozilla Ignite grant, as well. No single investor has controlling interest in the company, which was chartered in mid-2011, said Tyner. Tyner's LinkedIn is here. 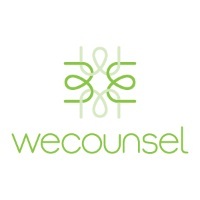 WeCounsel was advised in its Series A and Seed transactions by Ron Ilesco, principal in TruLogic Technology Group, an advisor based in Nashville. Ilesco is also senior associate with MedCare, the Nashville-based investment fund. The company today announced that its customers, the first of which which Tyner said it began serving in 4Q 2013, include InSight Telepsychiatry and R3 Continuum. In its release, WeCounsel describes its offering as "a comprehensive cloud telemedicine suite comprising secure video, end-to-end practice management tools like scheduling, document sharing and billing, as well as numerous other capabilities and advanced workflow solutions for virtual patient engagement." When asked for this story, Tyner said other relevant entrants in the telemedicine space include e-Visit, SnapMD, Thera-Link and CloudVisit. Those quoted in today's release expressed confidence that, based on their diligence, their offering surpasses all others.